There are too many food and wine festivals in the United States. 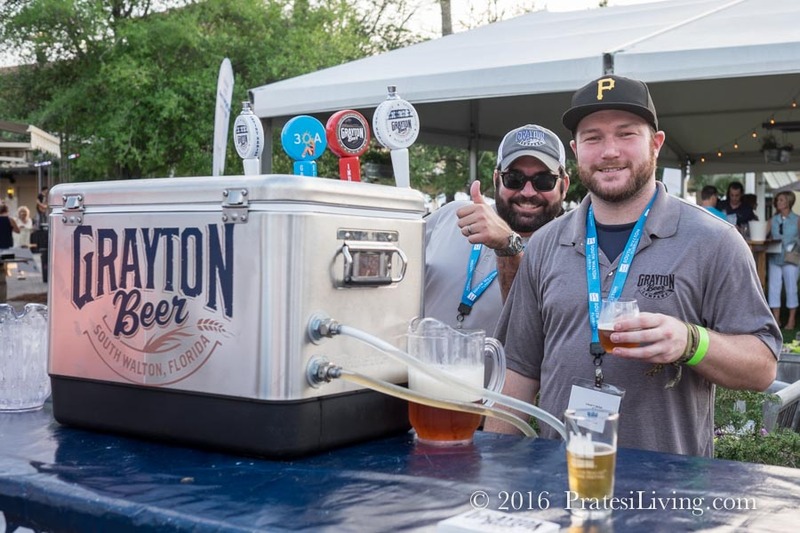 It seems like every city, town, and community has a food and wine festival, and if they don’t have one they feel like they should. Many are profit makers for the community. Others are profit makers for corporations. Unless you’re a glutton for punishment, both figuratively and literally, how do you choose which are worth the trip, the high cost of admission, and the calories? We suggest finding ones that give the proceeds to a worthy group or foundation and find out what percentage of the proceeds actually go to that charity. “Culinary events with a cause” are what catches our attention and those held in places we really want to travel to. 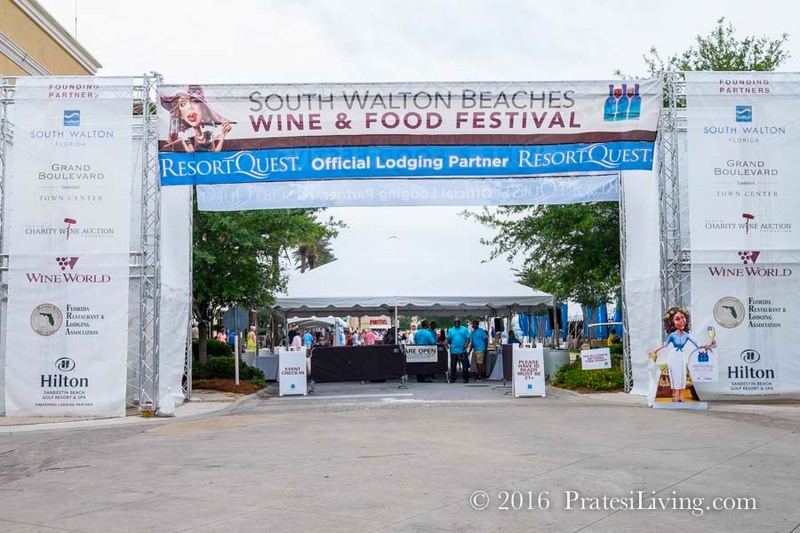 Earlier this year we attended the South Walton Beaches Wine & Food Festival, held every April in Sandestin, Florida. 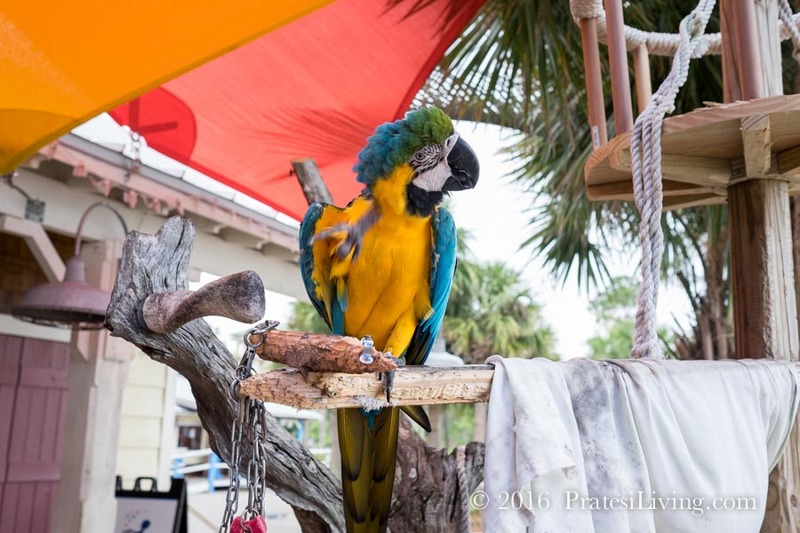 April in Florida, on the beach to raise money for children in need. I’ll be there! 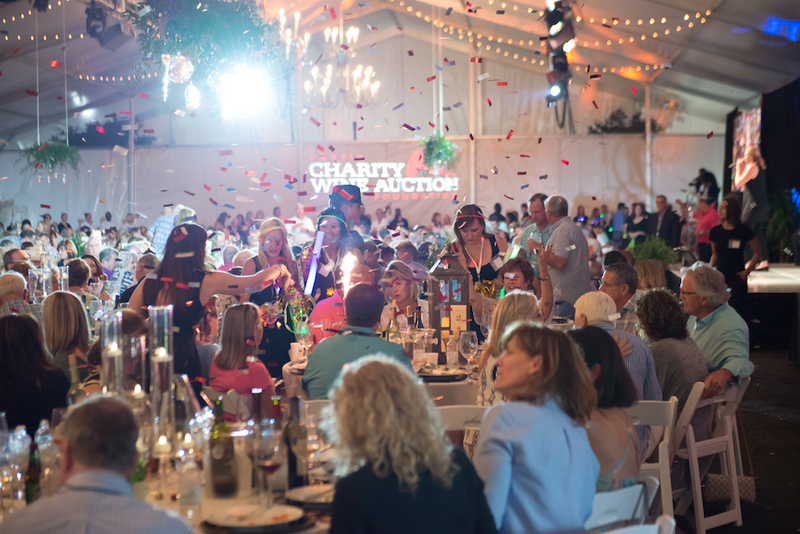 We are supporters of two other events in the Southeast benefiting cancer patients and cancer research – Gourmet & Grapes at The Sanctuary on Kiawah Island and the Nashville Wine Auction. 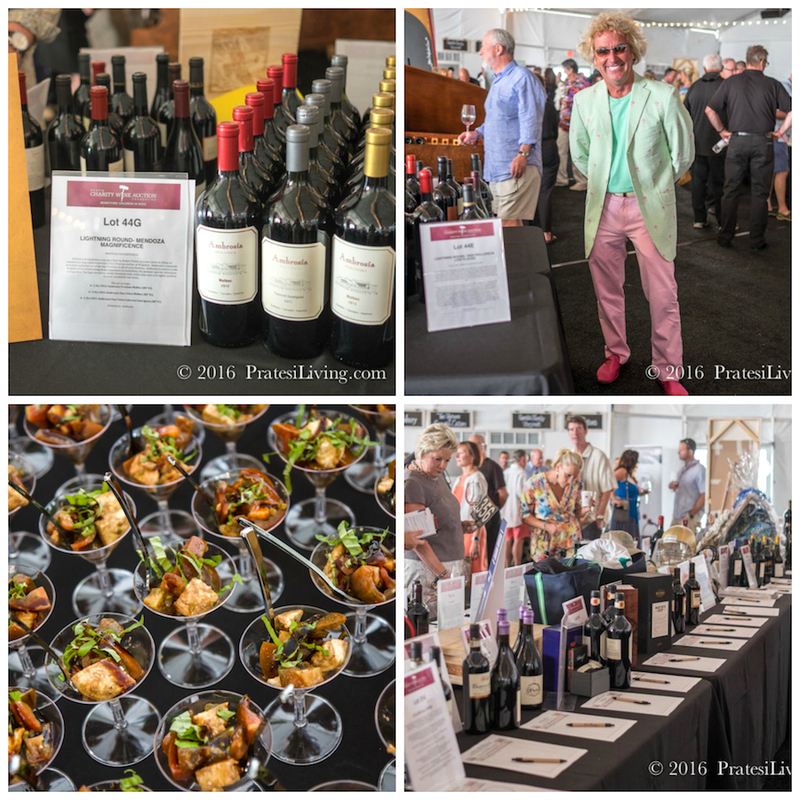 Both of these impressive culinary events raise cancer awareness and funds for important programs and facilities and feature excellent food and wine experiences for the guests, in addition to being held in great destinations that offer opportunities for dining, things to do, and experiences, beyond the event itself. The South Walton Beaches Wine & Food Festival and its partner event, the Destin Charity Wine Auction Foundation support another great cause, children’s charities in Northwest Florida, including: Children in Crisis, Sacred Heart Hospital of the Emerald Coast, Children’s Volunteer Health Network, Inc., Youth Village, Shelter House, Habitat for Humanity, Children’s Advocacy Center, Emerald Coast Autism Center, Horizons, Food for Thought, Opportunity, Inc., Pathways for Change, Boys and Girls Clubs of the Emerald Coast and AMIKids Emerald Coast. 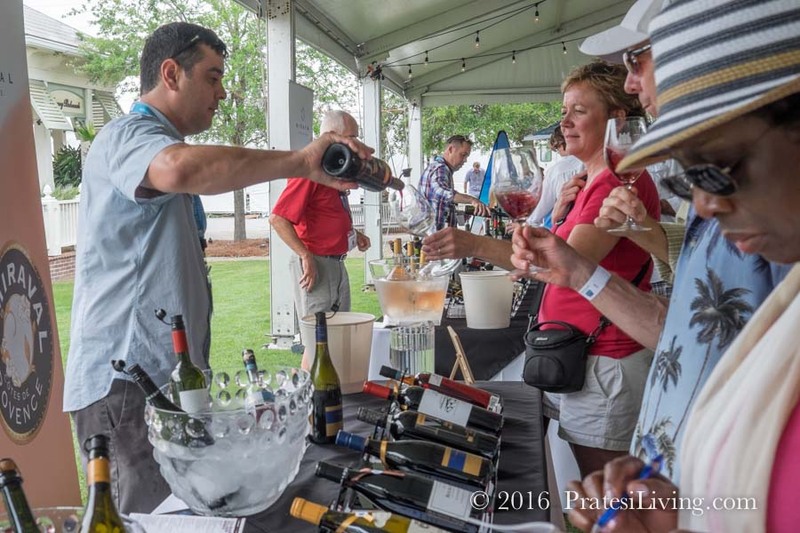 The weekend-long event takes place in several venues in the South Walton area, including the Hilton Sandestin Beach Golf Resort & Spa, where the first evening’s VIP Meet and Greet with Winemakers and Industry Night takes place. 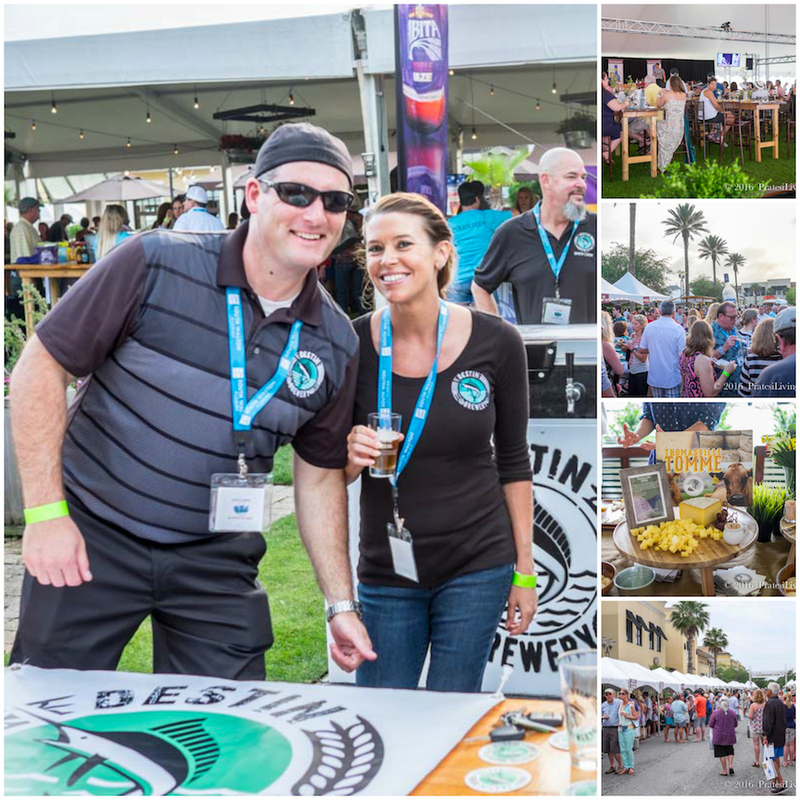 There are also events at Town Center, not far from the hotel, with the expected small bites in the tasting tents at the Culinary Village prepared by local chefs, craft brews from the area, many varietals of wine, and tasty libations from South Walton’s best mixologists. 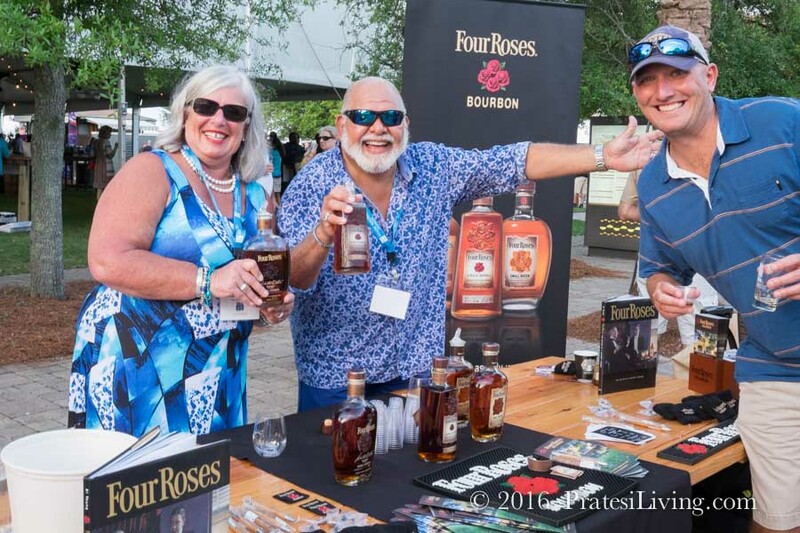 And of course, there’s bourbon…there’s always bourbon. 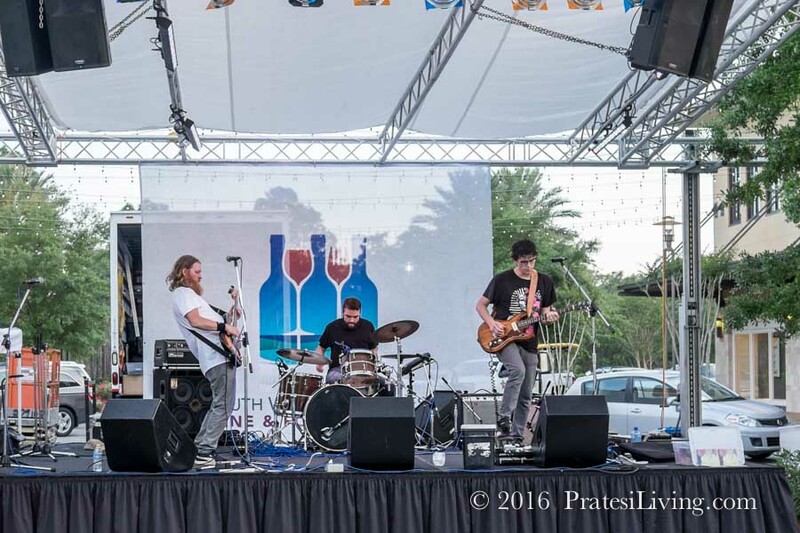 Live music is performed throughout the weekend by talented songwriters and musicians. One of the highlights of the weekend is Friday evening’s Patron Dinners. 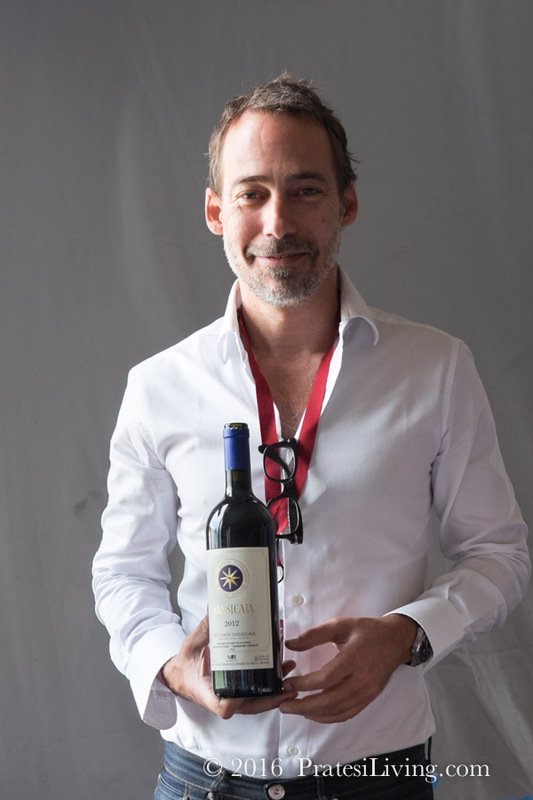 These are private dinners hosted at individual’s homes featuring notable wines and winemakers along with menus paired to the wines by well-known chefs from a number of southern states. 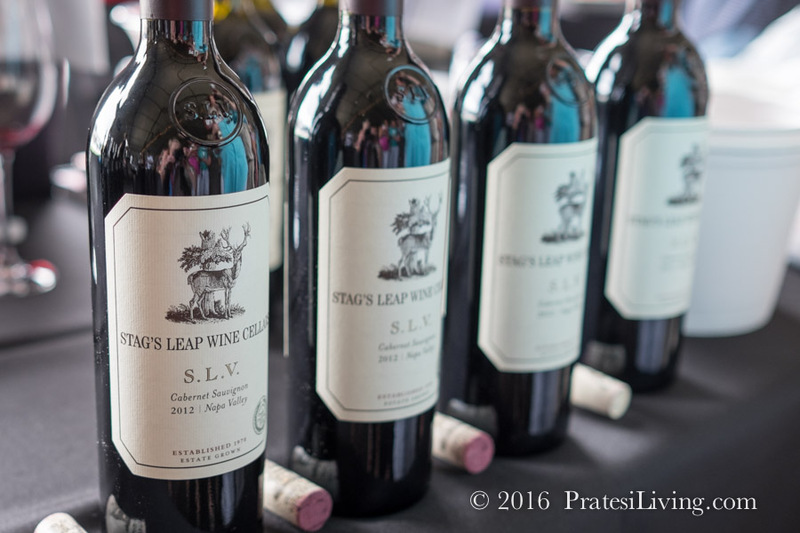 The other highlight event to attend is the Reserve Tasting and Live Auction on Saturday. With top tier wines to taste, winemakers to discuss their vintages, exceptional small plates, and a silent auction, this is the prelude to the opening of the second act with dinner, more wine, and the live auction with spectacular wines, trips, and other items you will certainly want to bid on. 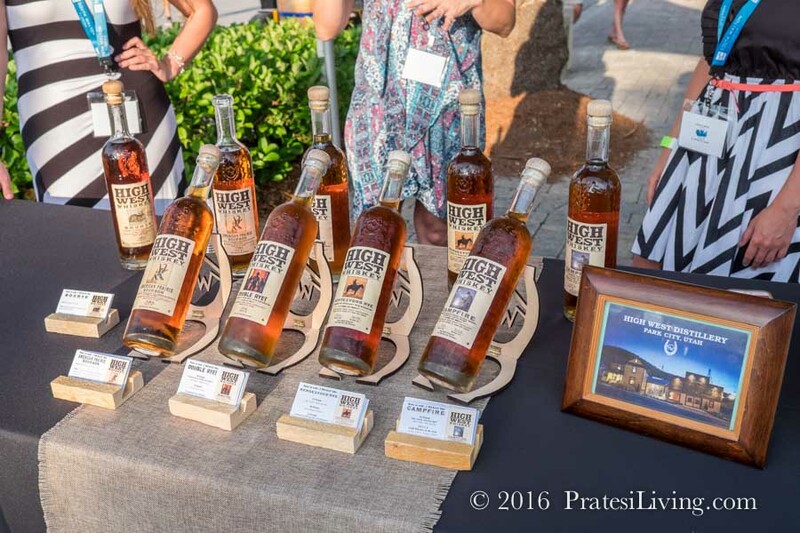 Both of these events are part of the Destin Charity Wine Auction. 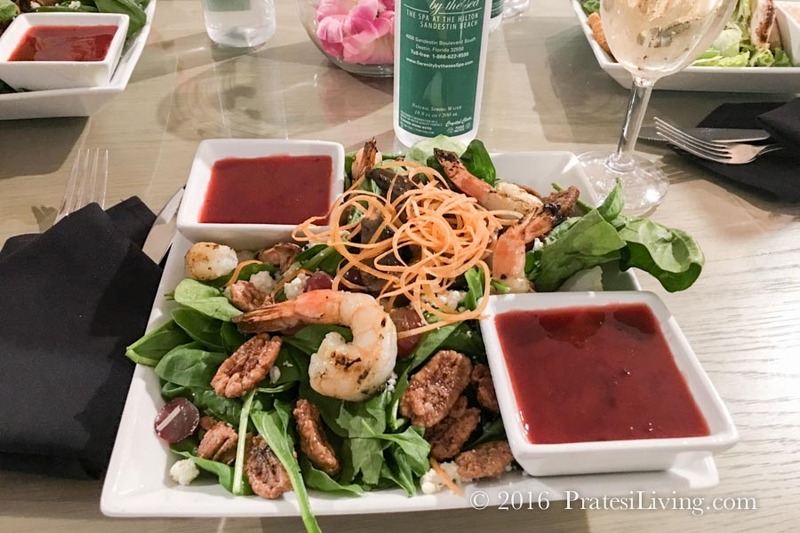 This is a smaller food and wine festival that’s easy to navigate and without a lot of crowds (which we prefer) and there’s time between the events to enjoy local restaurants, the fresh Gulf seafood, play a round of golf, or relax by the beach. And it’s all for a great cause. 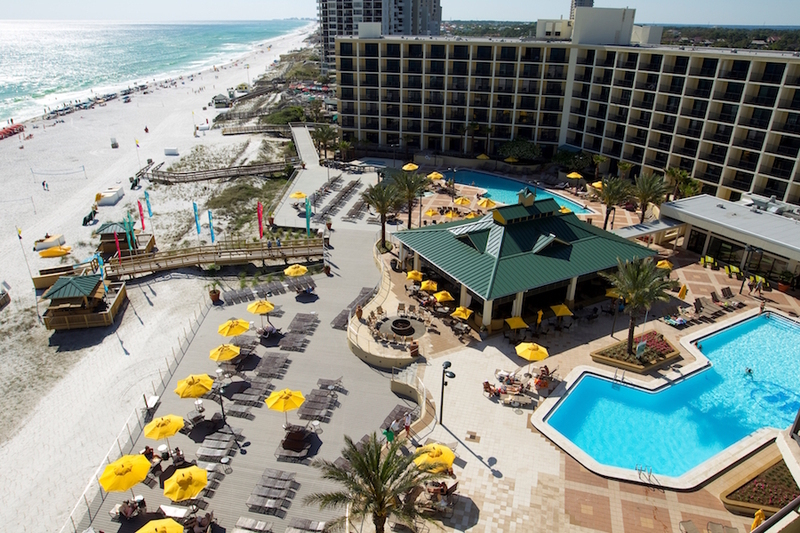 The Hilton Sandestin Beach Resort & Spa, one of the area’s first resort properties built on the beach and located just off the well-traveled 30A highway that runs along the coast in Northwest Florida, is the ideal base for exploring the area and to attend the festival. This upscale resort, with all of its amenities (golf, tennis, spa, pools, beach, and water activities) is also the perfect family vacation destination or place to enjoy a couple’s getaway any time of year. With a recent $30 million dollar facelift (2015), the property is updated, refreshed, and modern. 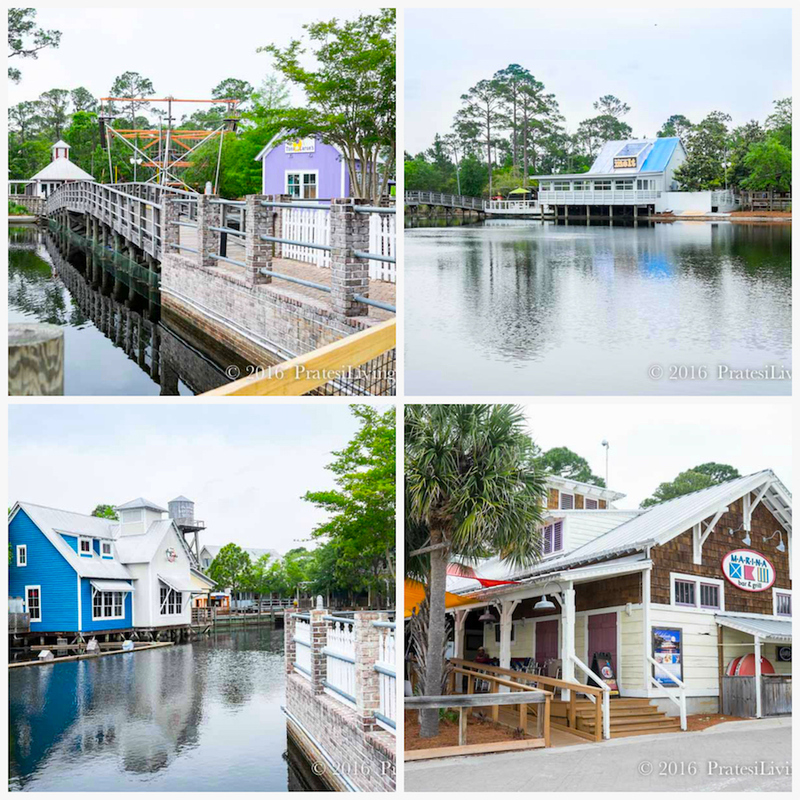 Stay a few extra days before or after the festival to enjoy everything the property has to offer, including the Village of Baytowne Wharf, a dining and shopping complex accessible by shuttle from the hotel. If you’re sans children for the trip, the Spa Tower guest rooms are great for couples. 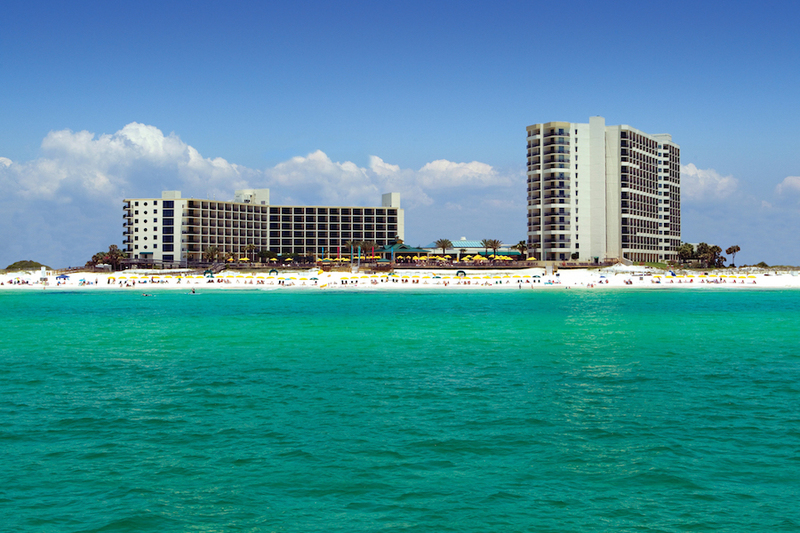 Located above the Serenity by the Sea Spa (voted as one of Condé Nast Traveler’s “Top 100 Spas in the U.S.”), all of the spacious rooms have gulf views overlooking the sparkling white sands and blue green waters of the Gulf of Mexico. 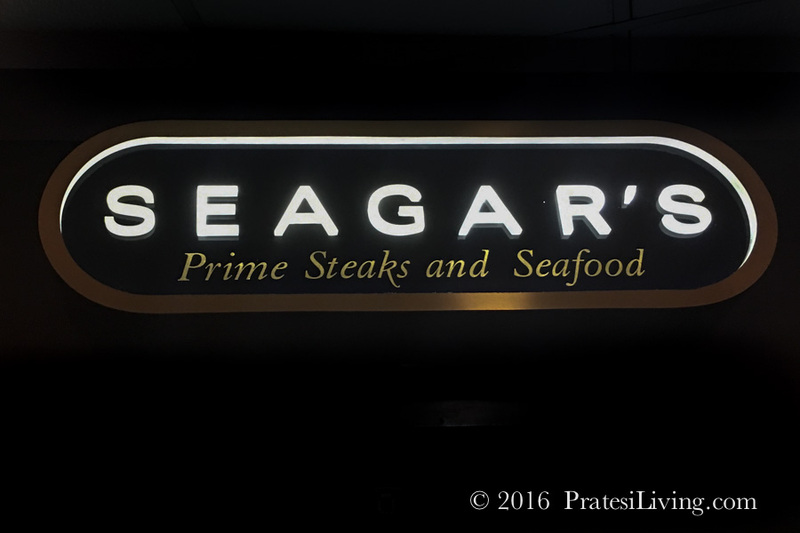 One of the area’s best restaurants, Seagar’s, and Northwest Florida’s first AAA Four-Diamond steakhouse, is located on the property. Featuring excellent steaks (aged Prime USDA), fresh seafood, and fine wines, winning “Best of Award of Excellence” from Wine Spectator magazine for ten consecutive years, a special dinner and evening at Seagar’s is the perfect way to round out a culinary weekend getaway that you can feel good about attending. 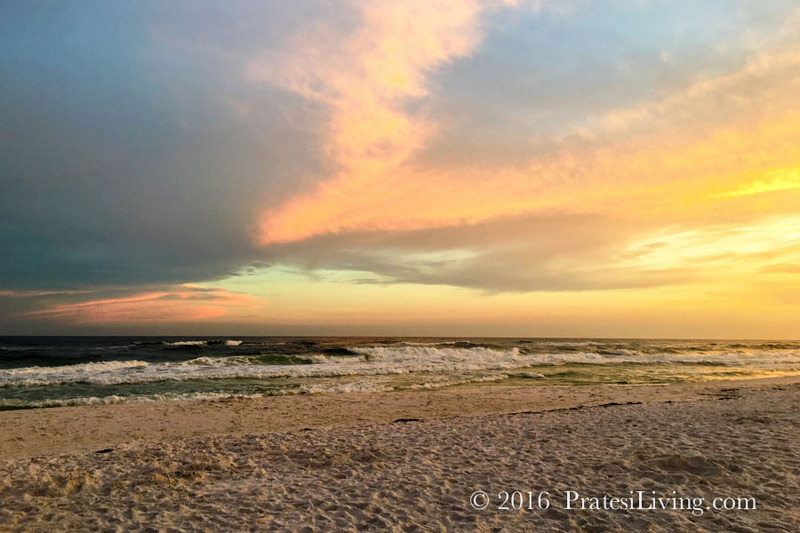 When you’re looking at travel dates for 2017, plan next year’s spring break or vacation around the South Walton Beaches Wine & Food Festival and the Destin Charity Wine Auction in April. 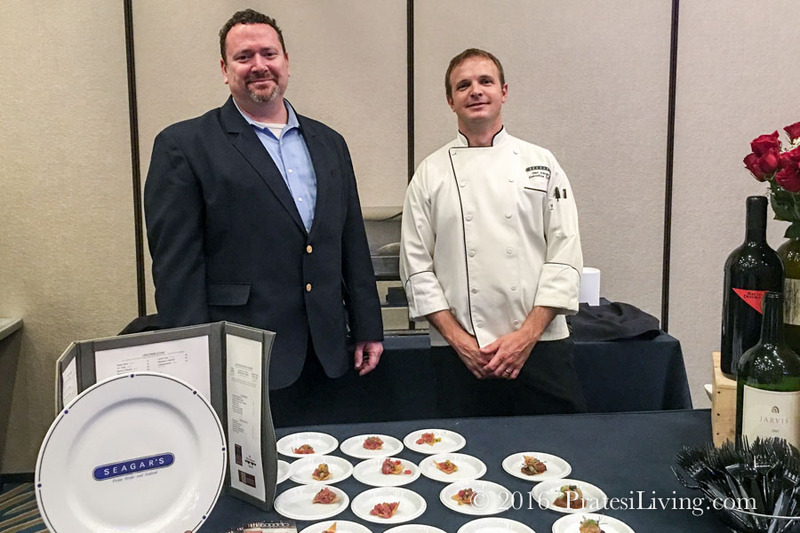 Disclosure – We were guests of the South Walton Food & Wine Festival and the Hilton Sandestin. The opinions expressed regarding our experience are our own.